﻿ Doors for making repurposed furniture, tabletops, picture frames, planters. Repurposed doors as parts of homemade furniture. DIY examples to recycle old doors in projects to make your own furniture from reclaimed wood. 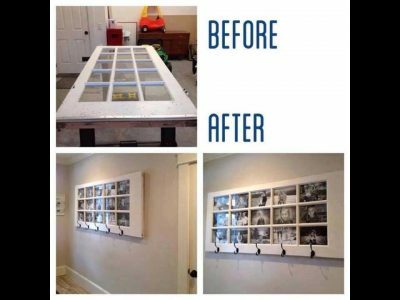 Give an old door new life as tabletop or picture frame. Doors for making repurposed furniture, tabletops, picture frames, planters. 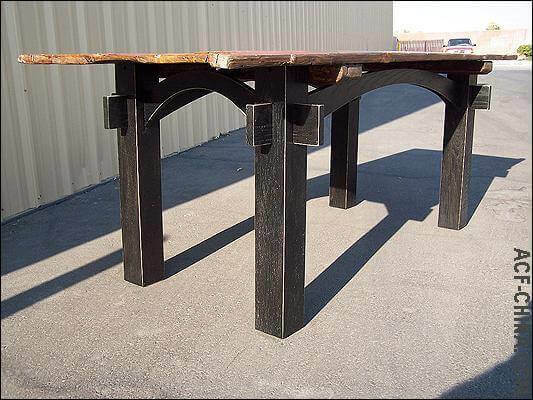 Free furniture plans » Recycling of wood, metal, tires and thrown away waste as homemade furniture. 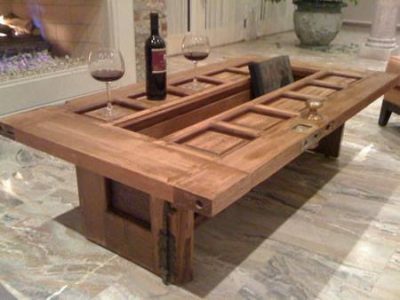 » Recycling of old doors as parts for homemade furniture. Old doors are given new life with these original recycling examples. Coat hanger and bench seat made from an old door. Maybe you have a nice old wooden door but you do not know how to repurpose it. 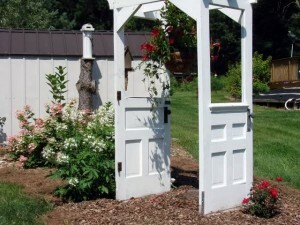 Here we will show you a few original ways to repurpose these doors. 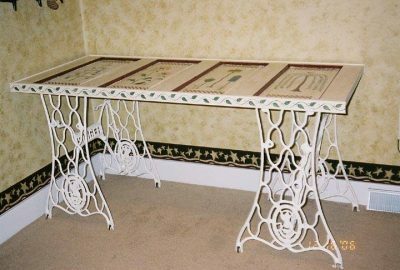 Use the old door as a tabletop, picture frame or as wardrobe. These DIY examples are just a few ideas to recycle doors into furniture. Obviously there are many more great ideas for the repurposing of old construction materials. We have compiled several types and materials for recycling. All of these building materials are easily available and mostly at a low cost or even for free. You might want to combine these recycled doors with other materials that have a recycling theme. 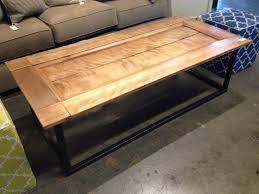 Have a look at the different repurposed materials to make your own furniture. 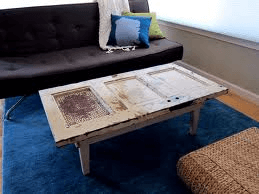 How to use an old door to make rustic farmhouse tables. 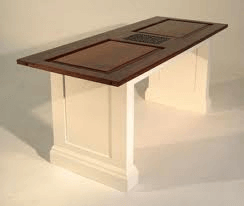 As you can see on these pictures, it is very easy to repurpose doors as furniture. Basically you use them as a whole, for panels that would otherwise be assembled from loose planks. A great use is as tabletop. 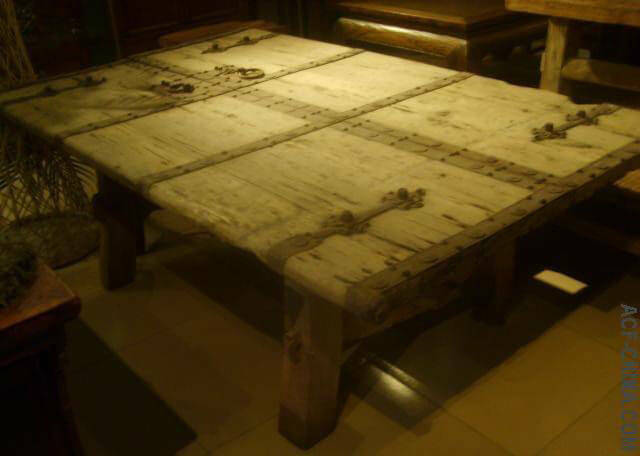 On th picture below they have simply placed the old barndoor on top of a ugly modern tabletop. 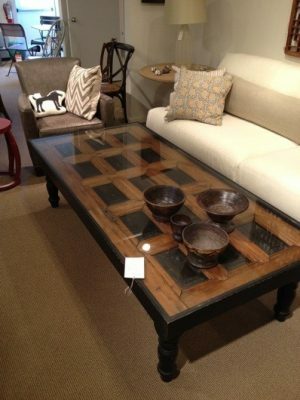 Antique farmhouse door in use as tabletop for a coffeetable. Picture frames made with a reclaimed and repurposed door. 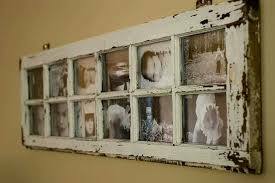 Picture frame with the pics behind the glass of a repurposed door. Tables chairs and more, homemade with a reclaimed door. 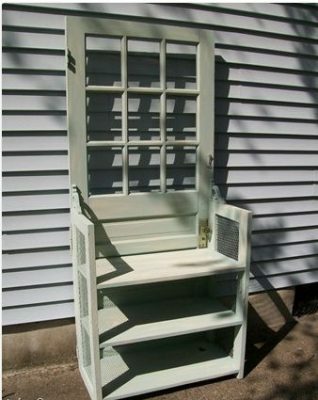 Garden and patio seat made from an antique door. 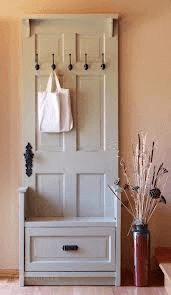 These DIY examples for the repurposing of old doors are derived from our Dutch tips for recycling.